Granted, flags are not your staple everyday item, but when you do need one you’ll be glad Flags Fantastic exists. 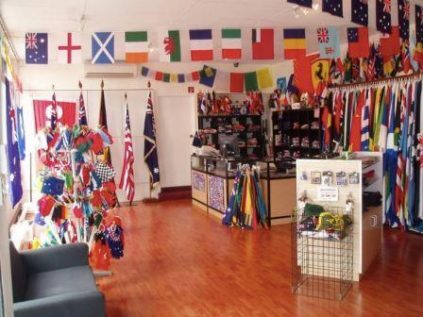 They stock every kind of flag you could ever want to wave: sports teams, national flags, nautical flags, safety and warning flags. And they have specialty flags like chequered, rainbow, skull and crossbones, Eureka, American confederate. It’s not just flag waving they’re about either. You can order bunting, banners, “Sale” signs, and other commercial or celebratory type items. You can also get a flag, banner and similar gear custom made. I bet you never knew flags were so fantastic.